The Federal Road Safety Corps (FRSC) have said no fewer than 4,964 motorists were booked for violating various traffic rules in Sokoto, Kebbi and Zamfara States. The Zonal Commanding Officer in charge of the States, Mr Abayomi Omiyale, disclosed the figures while speaking with journalists in Sokoto during an interactive session. Omiyale said the offenders were sanctioned between January 2018 till date for speed violations and driving without valid documents, among other related offences. He said that in addition, about 195 vehicles were booked for overloading alone. Omiyale further explained that in the first quarters of 2018, a total of 2014 applicants within the zone were issued with temporary drivers licences. He said that unclaimed drivers licence stood at 718, despite the State Board of Internal Revenue efforts in sending SMS messages to their recipients. 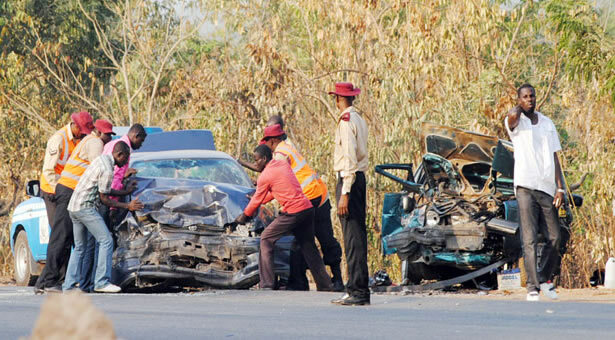 The FRSC Commander recalled that between January and March, the total number of road traffic crashes within the zone rose to 86 as against 78 in 2017. He also noted that the crashes claimed no fewer than 45 lives as against 96 lives lost in 2017 within the same quarter. Omiyale said the zone is intensifying efforts to accomplish its strategic goals which include enhancing communication, social media, and technology, improving enforcement and rescue service, and reducing road traffic crashes by 15 percent, among others objectives.